There are famous images made on this battlefield, Burnside’s Bridge and the Sunken Lane are the two you would find most often from this September 1862 battle on a day of heavy overcast skies - the same conditions as I had here on September 2018. This battle took place when Lee first invaded the north and although it was a stalemate in many ways, the north forced the south to withdraw so it is considered a northern victory. Three firsts happened here where more American causalities occurred until June 6, 1944. It is still the second or third most costly single day battle in American history. First number one, because of the victory, Lincoln was able to issue the preliminary Emancipation Proclamation on September 22. 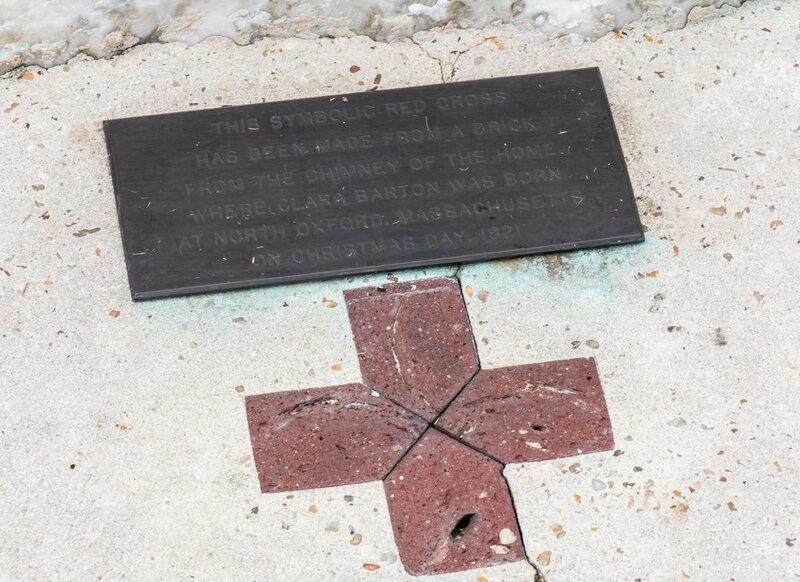 First number two, Clara Barton who had been working with and pestering the government to be allowed on the front line was given that permission in late August of 62 and arrived during the fighting here saving lives and bringing comfort to many. This is her monument and the farm where she did much of her work. First number three: Matthew Brady’s men, Alexander Gardner and his assistant James Gibson arrived at the immediate end of the fighting and took photos of the dead that startled the world. No one could miss the death and destruction any longer.